have u evvvah noticed ALMOST eveyone hates this game? I don't hate it mostly because it was my first Spyro game and I like the music. It's kind of nostalgic in a sense that it reminds me of Christmas, because that was when I got this game, I'm pretty sure of it. A few of the songs are nice, and there are two or three levels that are okay. I do not see why you should be flammed when it's just your opinion, if LoS fans decide to flame you because of that then they really cannot accept an opinion from somebody else who thinks differently to them. I just wanted to say that. Of course, I could be just saying that because there is still a possibility of butthurt LoS fans reading that. Well, ah,not a well made game. But I love the minigames. Except for speedways! Though I always hated speedways. I enjoy the game, in fact I enjoy all the games. If I'm in a cartoony mood, I play the first 5 up to "A Hero's Tail." If I'm in an "epic quest" mood, I play the LoS games. Having the right console helps, it's been said that the designers took more time getting the bugs out of the Gamecube version, which I have. I dont hate it, but I think it wa slet down by two things only. The Boss Fights and the Glitches. I love this game, I like how Spyro looks in this game far better than in AHT. 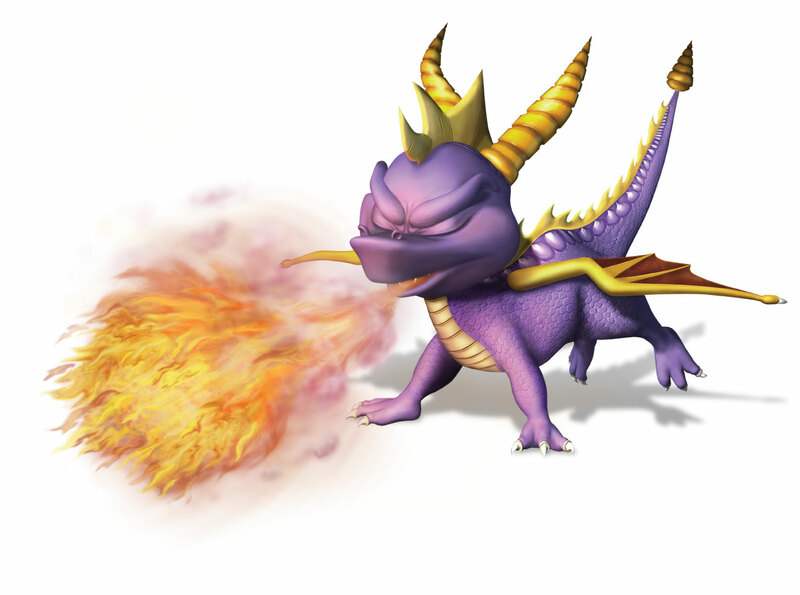 AHT doesn't feel like an Original Spyro game, it's just another different Spyro to me.. And I loved this voice of him. It's more annoying than bad. I rated this 2/5 on darkSpyro. I think you're being generous with a 2 instead of a 1, lol. I think it's because of it's annoyance, I grew a charm to it. I don't know why. Also it has Spyro in it, so the fanboy-ishness won't let me rate it at a one, lol. Spyro's so cute, awesome and lovable all in one, lol. I don't think I know any other video game character like Spyro really, with all of those qualities. I like this game for I all of the Classic Spyro games ( except Season of Flame ) but anyway I like this for it has somewhat great grapics and I like the Gilitches too especally the swim in the air gilitch. We need even moar luv! Gimme moar luv now! Naw, you cant have enuff luuurve!! I actually love this game. I loved playing the game before it kinda seemed to not work and not save. I loved the graphics and glitches. I think alot of people didn't like this game for alot of reason's: It wasn't made by Insomniac, its glitches, Spyro's design, a let down in Spyro standards, Ripto's VOICE!!! and long loading times. Personally I don't mind that it wasn't made by Insomniac, even though I loved the original trilogy, heck 'Spyro the Dragon' is probably my favorite game of all time, but i'm still open to change. I even personally liked alot of the changes such as Spyro and Hunter's new designs, the level designs and I mean OMG THE LEVEL DESIGNS, simply put; the best Spyro level designs ever. I mean you got a Dragon Dojo, an alien infested farm, a southern honey land, an ancient arabic den, and a rainforest with a GIANT VOLCANO. If this game was finished properly, I think it could have been the best Spyro game yet. I think alot of people didn't like this game for alot of reason's: It wasn't made by Insomniac, its glitches, Spyro's design, a let down in Spyro standards, Ripto's VOICE!!! MOAR LUV FOR THE BEST SPYRO GAME! This game does not need more love. Hey im a Legend and I can flame! Just look at my username I don't mean it!